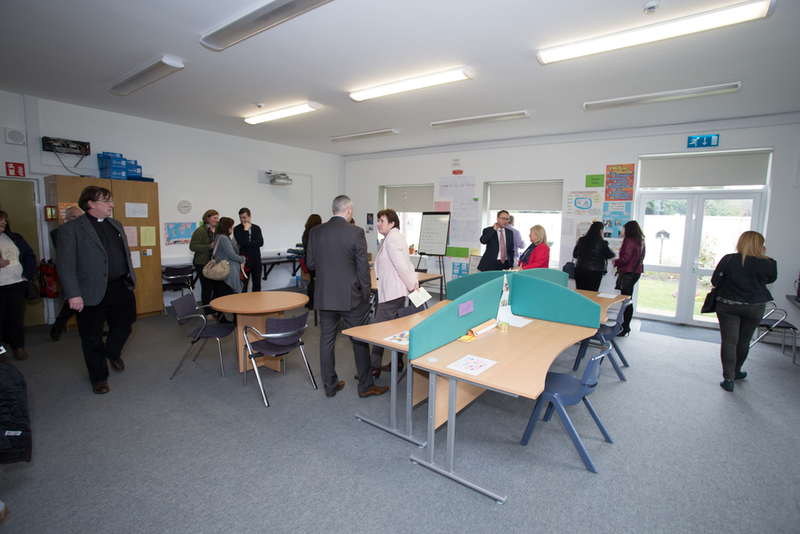 Friday 8th of April was a big day here in Colaiste Chiarain as it saw the official opening of the Class for students with Autism. Past and present students from the class were involved in all parts of the ceremony with Sam making a speech and Daniel Byrne reading a poem. Jake, Adam and Luke had made cupcakes for afterwards and Anita and Dylan provided the art work for the booklet. Past pupils showed up including Jack, Connor and Dairine with Connor Doyle, the first student to attend the class, cutting the ribbon. It was a moving and emotional occasion and marked the end of a long journey for the school and the beginning of a new and exciting period in Colaiste Chiarain. The Class for students with Autism has been a huge addition to our school and continues to support many students be they on the autistic spectrum or not. A huge thanks to all involved.